In a move unique to the Silicon Valley founder-led mind-set (think Zuckerberg and Jobs) Kalanick has finally decided it's in Uber's best interests to walk away. Repugnant chauvinism and exploitative tendencies aside, it was Kalanick's aggressive drive and rule-breaking attitude that meant Uber could become such a significant disrupter in the market. So when does this behaviour stop help driving an organisation and actually start damaging it? Facebook's Chief Product Officer had previously warned about the changes that come about once a company reaches 150 employees. In his own words "weird stuff starts to happen". Whether it's a magic number of employees, or revenue increases, start up mentality has to stop at some point. Kalanick needed to drastically tone it down and start listening to the complaints outside and inside his own organisation. Ultimately he needed to act more like a CEO and less like a Shoreditch shared-workspace "innovator" who gets his kicks from winding up competitors in the market. 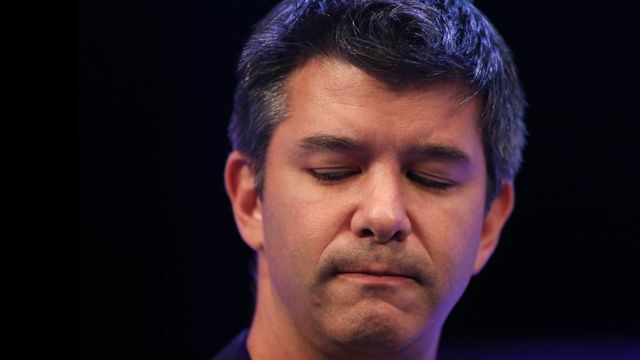 However, Mr Kalanick’s judgment and leadership have increasingly been questioned by investors after a series of setbacks this year, including allegations of sexual harassment, a lawsuit over self-driving car technology, and a software programme that was used to mislead regulators. An investigation into more than 200 cases of harassment resulted in 20 people being fired from Uber earlier this month. Critics say the crises have revealed a dysfunctional culture and inadequate oversight that was fuelled by Mr Kalanick’s aggressive, rule-breaking instincts.